In the US, nearly all children born with sickle cell disease survive into adulthood. Across the globe in sub-Saharan Africa, more than half of babies born with the genetic condition don’t survive until their fifth birthdays. A major reason for the stark disparity is the region’s lack of newborn screening capacity, which allows for early detection and medical intervention. Here in the US, state public health laboratories automatically test babies for a number of genetic and metabolic disorders, including sickle cell disease, as part of their universal newborn screening programs. In sub-Saharan Africa, however, diagnostic and treatment capacity is severely limited, despite the region being home to more than 75% of the disease’s global burden. Researchers estimate that about 240,000 babies are born with sickle cell disease in sub-Saharan Africa every year, with studies estimating that at least half of such children die before age five (though research finds the under-five mortality rate related to sickle cell disease in the region could be as high as 90%). Globally, the number of people with sickle cell disease is expected to grow by 30% by 2050. Early detection and diagnosis is critical to pushing that child mortality rate down, but to date, no country in sub-Saharan Africa has been able to establish universal newborn screening for any disease, including sickle cell disease. Sickle cell disease is an inherited red blood cell disorder in which abnormally shaped red blood cells block the adequate flow of blood and oxygen throughout the body. The disease causes a number of adverse and debilitating effects, including anemia, chronic pain, delayed growth, vision problems and more frequent infections. The disease is manageable with access to relatively easy, low-cost interventions, such as folic acid supplementation, vaccines and antibiotics, pain treatment, dietary changes and high fluid intake. This summer, the Sickle Cell Disease Coalition — APHL is a member of its steering committee — released a new public service announcement directing viewers to a library of global resources on sickle cell disease screening sites and treatment centers in African regions. Also unveiled was an eight-minute documentary from the American Society of Hematology on sickle cell disease newborn screening efforts now underway in Ghana and how families impacted by sickle cell disease can access appropriate care. 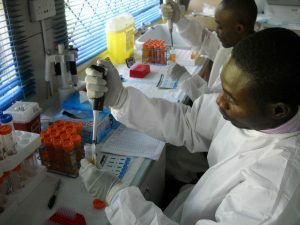 For more than a decade, APHL has been working with providers and health officials in sub-Saharan Africa to institute newborn screening for sickle cell disease, providing technical assistance and guidance on testing methodologies, facilitating relationships with laboratory vendors and in some cases, providing hands-on training in validating lab instruments. The goal, Ojodu said, is to help countries take the first steps in the slow scale-up toward universal newborn screening and foster small pilot projects that expand the evidence base and justification for further investment. For example, in Ghana, where sickle cell disease is endemic, APHL partnered with the Centers for Disease Control and Prevention and the Sickle Cell Foundation of Ghana to offer technical assistance on a variety of related screening activities, such as needs assessments, genetic counseling and educating providers and parents. The initiative, launched in 2011, began with a survey of community needs, which revealed a gap in the availability of genetic counselors who specialize in sickle cell disease. In turn, APHL led a 2013 workshop on developing a sickle cell disease counselor training and certification program in Ghana, where participants helped tailor a culturally competent training program specific to the needs of Ghana’s communities. Then in 2015, APHL put together a curriculum and trained the first 15 counselors using the new Genetic Education and Counseling for Sickle Cell Conditions in Ghana. A second training workshop took place in Ghana in the summer of 2016. In Ghana, Ojodu noted, providers use the same technology to screen for sickle cell disease as labs do in the US, which underscores the adaptability of current sickle cell disease screening techniques to a variety of settings. Venée Tubman, MD, MMSc, a member of the African Newborn Screening and Early Intervention Consortium, which came out of the American Society of Hematology’s Sickle Cell Disease Working Group on Global Issues, noted that a number of attempts have been made to start newborn screening programs in sub-Saharan African, but also reported that no country has yet succeeded in adopting a universal screening effort. She noted that based on progress in sickle cell disease survival rates in the US — where about 96% of babies with sickle cell disease now survive into adulthood — it’s reasonable to believe that similar improvements can be achieved for children in sub-Saharan Africa with the expansion of early detection and treatment. For instance, in the US, CDC reports that with the introduction of pneumococcal disease vaccination, sickle cell disease related deaths among black children younger than four dropped by 42% between 1999 and 2002. “That fact that we were able to implement some basic measures and increase survivability pretty dramatically leads me to believe that, yes, most of these deaths are preventable,” said Tubman, an assistant professor in pediatrics at Baylor College of Medicine. She added that the existence of the consortium and the Sickle Cell Disease Coalition speaks to the progress being made to boost early detection and intervention in sub-Saharan Africa. Ojodu noted that with the elimination of CDC funding for global newborn screening development, APHL is looking for new funding partners to continue its work abroad. The post Improving newborn sickle cell screening in Africa: ‘We can affect change there just like we did in the US’ appeared first on APHL Lab Blog. $21 million from the National Center for Environmental Health. $0 – Elimination of the Maternal & Child Health Heritable Disorders program, which works to reduce illness and death in newborns and children who have or are at risk for heritable disorders, such as sickle cell anemia, cystic fibrosis and hearing impairment. $0 – Elimination of the Universal Newborn Hearing Screening and Intervention Program, which allows for early hearing detection and intervention systems in all babies born in the US. $1.11 billion cut to USAID Global Health Programs. While the majority of the president’s budget proposal is grim for public health, there were a few areas that are not as dark. APHL was pleased to see that the budget request designates $175 million to CDC to address the growing opioid crisis. Additionally, funding for the Global Disease Detection Program would increase by $51 million and funding for the Public Health Emergency Preparedness program would increase by $4.5 million. APHL will continue work with Congress to assure that funding levels continue at the much-higher amounts provided in previous years. Adequate levels of federal support for state and local laboratory contributions are critical to the nation’s public health security. 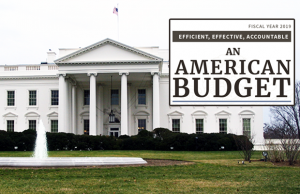 The post APHL: President Trump’s FY 2019 budget request is “disheartening and disappointing” appeared first on APHL Lab Blog. When HIV first struck Ghana in 1986, it didn’t adhere to global trends. There was a high prevalence of HIV in females, not males. The spread began in rural areas, not urban centers. Regions with more polygamy had lower rates of HIV, not higher. Over 30 years later, Ghana has made significant headway in slowing new infections, but there continues to be an upward trend that’s deeply concerning. The top HIV/AIDS experts around the world see substantial evidence that antiretroviral therapy (ART) can be highly successful in suppressing the virus in infected people and decreasing the likelihood of transmission. In fact, evidence shows that when the virus is suppressed to the point of being undetectable, the infected individual has low or no risk of transmitting the virus to others. Given these facts, one key to slowing and eventually halting the transmission of HIV is close monitoring of every infected person’s viral load (testing for the amount of HIV in the blood). Regular and consistent viral load testing can determine whether ART is a success or failure. If ART is successful, viral load testing will indicate viral suppression; if not, as when treatment is inconsistent or the virus has become drug resistant, it will show either no change or an increase in viral load. Viral load testing is critical to determining next steps for individual treatment as well as determining whether the epidemic is progressing or regressing. In keeping with global HIV response efforts, Ghana is shifting their attention to scaling-up viral load testing per the World Health Organization’s (WHO) “treat all” recommendation. That is, not only should infected and high-risk individuals receive ART, they should also have access to regular viral load testing. Additionally, the country has adopted the UNAIDS 90/90/90 global targets aimed at ensuring that 90% of the people receiving treatment are virally suppressed, with the goal of ending HIV/AIDS by 2030. Scaling-up viral load testing requires increasing laboratory capacity, an undertaking to which Ghana and APHL are committed. 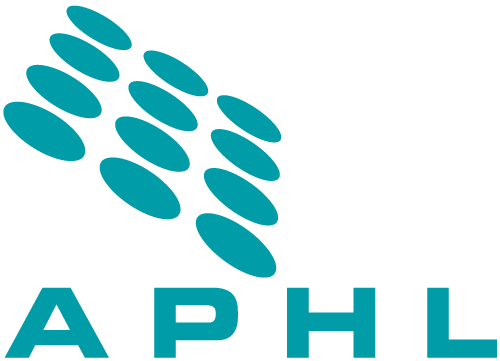 In order to develop the Ghana Laboratory Viral Load Testing Extension plan, APHL has worked closely with CDC-Ghana, the Ghanaian Ministry of Health (MOH), Ghana Health Service (GHS), the National AIDS Control Programme (NACP) and many other partners and stakeholders. This plan outlines a strategy to increase and monitor laboratory capacity for viral load testing. It includes an ambitious, targeted approach that balances achieving global goals of ART treatment monitoring with the limited resources available in the country. The plan accelerates the scale-up of viral load testing by defining national testing targets and a timeframe for achieving them, improving stakeholder collaboration and pooling available resources for better distribution. In addition, APHL has collaborated with the Centre for Remote Sensing and Geographic Information Services (CERSGIS) to map all 245 ART centers in Ghana. This huge undertaking generated geo-referenced maps for each site, including the latitude and longitude of the ART centers along with other related attributes such as differentiated models of care sites, regional viral load centers, sector viral load centers, functional viral load centers, testing staff capacity, ART equipment at the centers and much more. Visualizing these data at various administrative levels provides national decision makers with a more nuanced understanding of program coverage and priorities for scale-up. By mapping rather than graphing or charting the data, users are better able to recognize important patterns. As the global health community works to end AIDS by 2030, laboratory testing will continue to be essential for diagnosis, treatment and prevention. APHL’s viral load scale-up activities in Ghana will help those already afflicted by HIV/AIDS to receive effective treatment and will ultimately decrease the number of new infections in the country. The post Scaling-up viral load testing in Ghana is critical to stopping HIV appeared first on APHL Lab Blog.